We’ll be part of the Horrific Miscue booth at G127. It will be great to see you there and anyone who is a Patron who comes up and says hello gets a Greetings from Seattle poster or a Bunson Hoppydew Sticker! 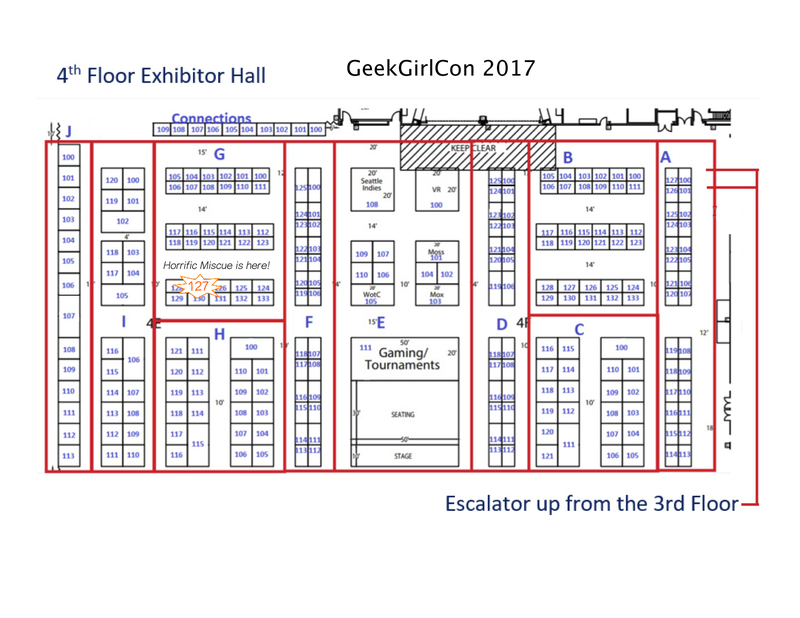 GeekGirlCon takes place at The Conference Center, located at 8th and Pike in downtown Seattle, WA, right across the street from the Washington State Convention Center.